Ms. Jarkova studied at the National M. K. Ciurlionis Art School in Vilnius (Lithuania) and at the United World College of the Adriatic (Italy) where she obtained International Baccalaureate Diploma and received Diploma in Chamber Music from “Scuola Superiore Internazionale di Musica da Camera del Trio di Trieste”. 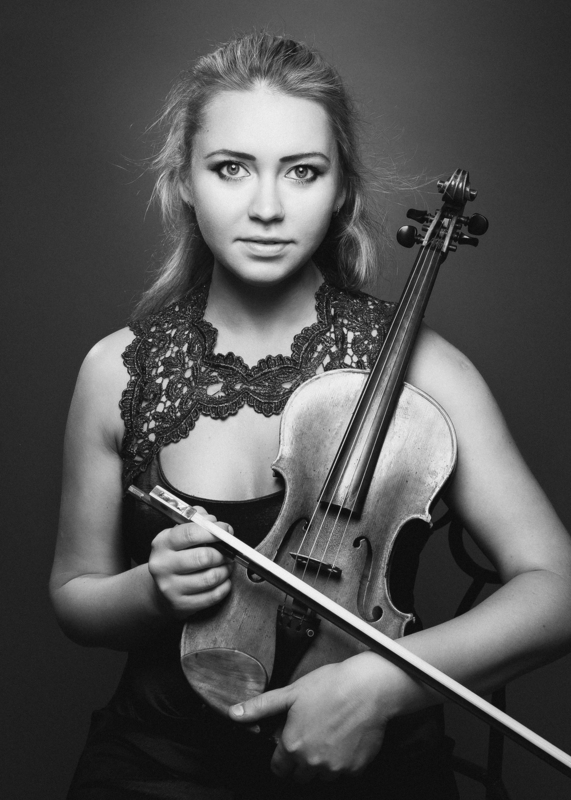 She then completed her studies with full scholarship and as Shelby Davis scholarship recipient at the Boston Conservatory, where she received her Bachelor in Violin in 2012, and Graduate Performance Diploma in 2014; and received her Masters from Boston University in 2016. Ms. Jarkova has performed widely in Europe and America, including countries such Albania, Austria, Croatia, Italy, Poland, Russia, Slovenia, Puerto Rico, and more; and concert venues such as Carnegie Hall, Beethoven Hall, Wiener Saal, Sala Tripkovich, and others. She participated in “Kodaly – Bartok World Youth Orchestra”, “International Frenkel Villa Festival”, “International Summer Academy Mozarteum”, and was featured as a guest artist in International Music Festival “A Tempo”. Ms. Jarkova worked with V. Oistrakh, J. Silverstein, L. Chilingirian, D. Kim, M. Frischenschlager, A. Schnarch, Y. Berick, P. Frank, A. Cardenes, J. Fleezanis, among others. Her principal teachers include Lynn Chang and Bayla Keyes (Boston), Massimo Belli (Trieste), and Ingrida Armonaite (Vilnius). Most recently Ms. Jarkova debuted with the Albanian National TV and Radio Orchestra playing Brahms Violin Concerto, performed Piazzolla “Four Seasons of Buenos Aires” with Boston Conservatory String Orchestra, and Beethoven Triple Concerto with LAB Orchestra and Quincy Orchestra. Ms. Jarkova was assistant to the Boston Conservatory chamber music department director, and performed with JEMUR PIANO TRIO (with pianist Rui Urayama, and cellist Edevaldo Mulla). She teaches in Boston, and plays with various orchestras around. Ms. Jarkova is a founder of International Summer Music Festival “Vivace Vilnius” in Lithuania since 2012. The festival offers intensive master classes for young professional musicians and presents free concerts performed by the faculty and guest artists. The faculty members travel from the USA representing American musical culture and esthetics to the participants and Lithuanian audience.